Honda has been well respected in the two-wheeler market for a number of years. Honda has been revitalizing the industry with a number of great scooters and bikes. The latest addition to that ever-growing list is the new Honda Livo which has replaced the older CB twister in the Indian market. Let’s take an in-depth look on the Honda Livo. The Livo is being sold alongside Honda’s 110cc dream series commuter bikes and is the most expensive bike in its capacity on Honda’s list. The twister was billed as one of the stylish 110cc commuter bike but didn’t perform well in the market. In a bid to resurrect the bike range, Honda decided to tone down on the style. 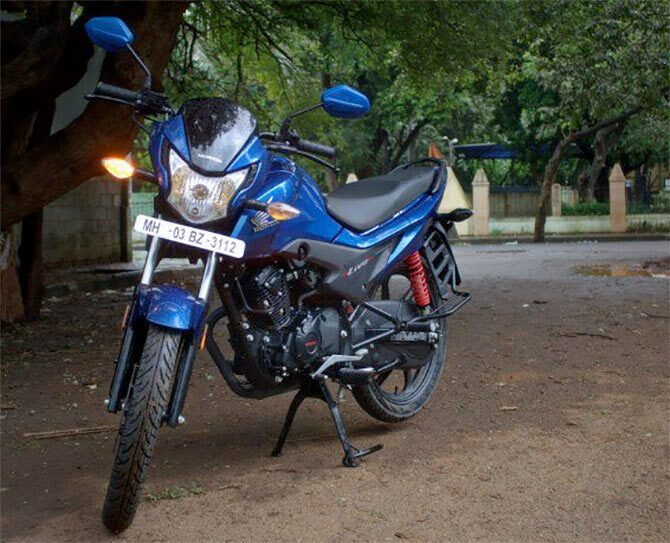 The Honda Livo colors make the bike look exactly like a true blue blooded steed despite being less flamboyant. The overall length of the bike is 2020mm and has a width of 746mm. The bike has a height of 1099mm and a ground clearance height of 180mm. The wheelbase for the Livo measures 1285mm and the kerb weight is 111kg. The Livo is powered by the tried and tested four-stroke, single cylinder 110cc engine. The bike’s engine is also equipped with the Honda Eco Technology (HET) which helps to improve the two-wheeler’s overall performance and fuel efficiency. This engine is able to provide the bike with a maximum power of 8.2Bhp and provides a max torque of 8.63 Nm. Honda claims that the bike is able to provide you with a fuel efficiency of 74kmpl. To provide stability and safety while braking, the Honda Livo is well-equipped with 130mm drum brakes on the front as well as the rear end. These brakes are good enough for providing you smooth control and grip over the bike on the city roads. Also, the bike is given added comfort benefit with the addition of Telescopic fork suspension on the front hand side and the air-spring loaded hydraulic suspension above the rear wheel. To ensure proper grip on the city roads, Honda has included a pair of 80/100-18 radial tubeless tyres. Tubeless tyres have an added bonus as they help to protect from an accident in case of a sudden tire burst. The wheels for the Livo are made out of alloys and measure 18 inches in size. The Honda Livo is equipped with an analogue instrument console. It contains a number of important features such as a speedometer, fuel gauge, and low fuel indicator. However, the console still misses the Trip meter, tachometer and a kill switch. Honda Livo colors available in the market are Athletic Blue Metallic, Black, Sunset Brown Metallic, Pearl Amazing White, Imperial Red Metallic, and Matt Axis Grey Metallic and is well equipped with a 12V 3(MF) battery to able to power up the 12V 35/35W Halogen bulbs. Other regular features such as pillion grab rail and pillion footrest are available in the bike. The electric start switch is also available on the handlebar. However, Honda has decided to do away with ashift light and an antilock braking system. The Honda Livo is one of the more popular bikes in the mid-range series because of its unique style and a number of Honda Livo colors. The bike delivers a constant smooth performance throughout your ride. What impresses us the most is the fuel efficiency of the bike which is around 60-65kmpl on all roads. This bike should be on your list of bike to look upon while going for a new mid-range one.